Expat solutions have a wealth of experience in the organisation and execution of corporate events working hand in hand with event organisers. We are able to liaise with local customs (for equipment, samples, pos), venues and caterers to project manage your event in Tunisia. 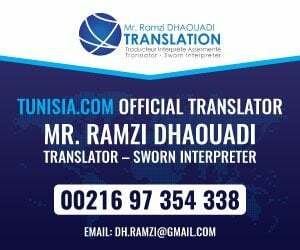 We also work with a number of travel agencies in Tunisia and we are able to offer your guests accommodation, logistics and entertainment solutions such as tours, experiences and performing arts. Tunisia has a number of wonderful scenes and historical locations such as castles, medina houses, beaches and desert locations. These often make amazing locations for product launches, music videos and feature films. Hosting an exhibition in a large luxury hotel in Tunis. Press conferences in historic locations for products and services you with to launch in Tunisia.